Summary: David Ford releases a brilliant mini collection of soulful storytelling emblazoned with the Blues. 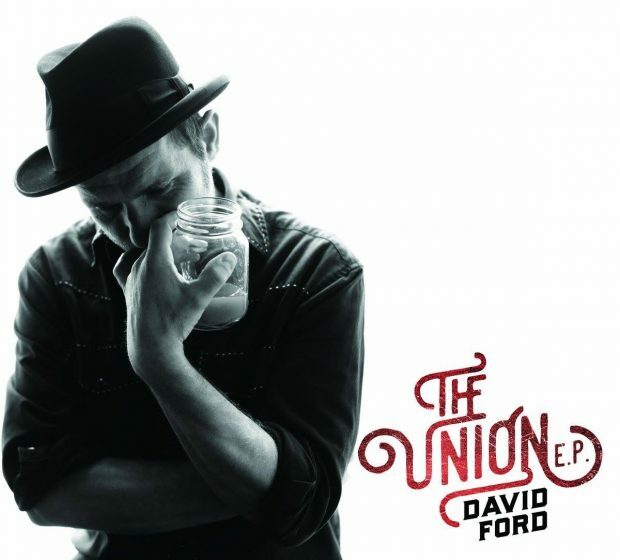 Acoustic troubadour David Ford has returned with inspired mini album ‘The Union EP’. The five tracks presented here are bathed in a glorious Southern California melodrama but retains all the British quirks that we have come to love from Mr Ford across his previous releases. The record starts with a bang in the shape of the electric blues laden ‘Why Don’t You Answer Your Telephone?’. It’s nice to hear David with an electric guitar again, and his raspy and gravelled vocals are so tender and cushion the gentle blues riffs through the verses before crashing in with the amped up chorus’. There is a cracking guitar solo on this track that nudges the track along perfectly. If you have stumbled across Ford before, either via his solo material or former band Easyworld, this should reignite those memories nicely. There are a couple of tender acoustic tracks on the record too. ‘A Perfect Day’ oozes late summer sunshine, particularly needed on these cold, rainy Autumnal days. ‘Timber to Ashes’ is David’s almost trademark storytelling gem. This time he is accompanied by a female vocalist in the choruses which not only compliments his vocals perfectly, but shows how versatile he is. Gone are the raspy vocals in favour of a sweet and tender tone. ‘Someone (Other Than You)’ is a piano led track with an underlying hint of deep American blues. As the song takes you on it’s journey, you can picture yourself being in a smokey bar as the band play for your pleasure. There is even a trumpet solo which suddenly brings back memories of Ocean Colour Scene’s b-side ‘Huckleberry Grove’. Not a bad thing at all. The closing track on the 20-minute journey brings us back to the start and ends perfectly. ‘A Hundred Streets’ begins acoustically but begins to build with some regimented drumming, jangly guitars and a loud chorus. As the track comes to it’s gentle conclusion, you cannot help but reach for the repeat button again. Overall, The Union EP hints to Ford’s past work but shows off where he is now with elegant style. The only issue is that it is all over before it’s begun. It would be nice to have a full 10-11 track release, but one of the best things about this man is his ability to tease us with snapshots of where he is heading. As always, it will be interesting to see what he does next in terms of music output. David is one of the brightest and most observant songwriters that the UK possesses, these five tracks are crying out to be heard by more and more people. In a Social Media obsessed world, it is clearly down to us to help spread the gospel of David Ford. Do yourself a favour and give your ears a treat with this brilliant release.